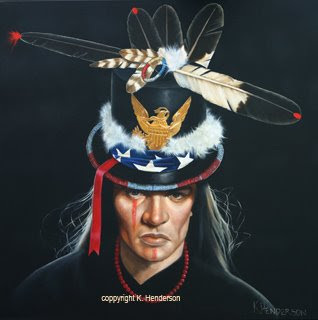 Top Hat, 36″ x 36″, oil on canvas . 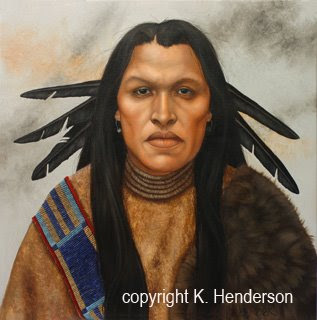 During the 1800’s , in an attempt to appease the American Indians and to help negotiations leaders of the tribes would be invited to Washington, DC. Gifts were given. Among them were items of clothing including the Top Hat. The recipient of such gifts, upon returning home, would make the item his own by decorating it.